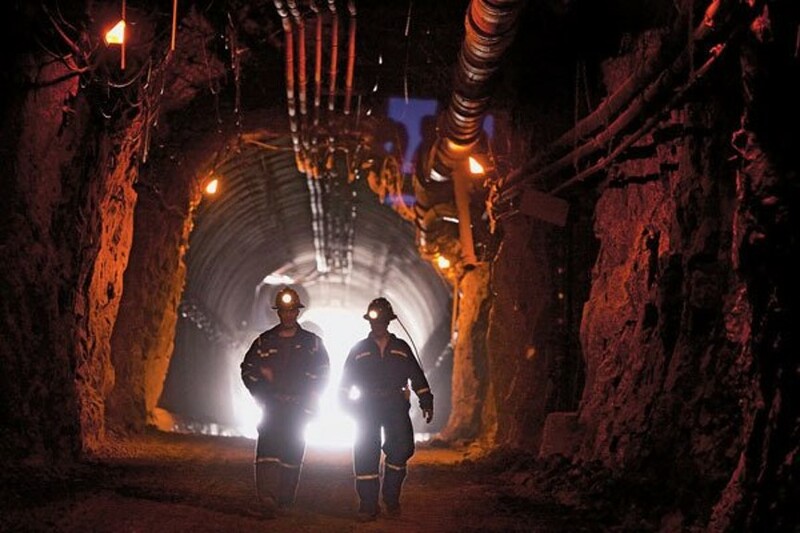 Underground mining is more complex and more expensive than open-pit mining. Where removing the overburden would be too costly or ineffective to reach the ore, the decision is made to go underground. Decline tunnels, known as ramps are constructed to access the orebody. Another method is to construct vertical shaft with a headframe and hoist to move workers in and out of the mine workings and to transport (skip) ore to surface. With the tunnels, water storage and removal, power, communications, and ventilation systems are required. Underground maintenance shops and even offices are constructed. There are several types of underground mining and the method chosen depends on the orebody characteristics (vein, massive, tabular) and on the strength of the ore and surrounding rock. Veins are often mined using stope mining which involves excavating portions of ore creating cave-like voids underground. Massive orebodies are usually mined using bulk mining methods by creating stopes. There are many types of stope mining. If the orebody is tabular (flat and generally dipping), room-and-pillar methods are commonly used. This method involves removing large quantities of ore to create ‘rooms’ with the overlaying rock supported by columns known as pillars. Block caving is another such method. This method involves creating a block of ore which is then allowed to collapse causing the ore to break apart making it easier to transport to surface. Underground openings may or may not require support. This involves coating access tunnels with special engineered concrete. Bolting screen to the top (back) and sides (ribs) of the tunnels captures any small pieces of rock which fall due to pressure. Exploration is also conducted underground. This occurs throughout the life of the mine and provides more data on the shape, size, and grade of the orebody. 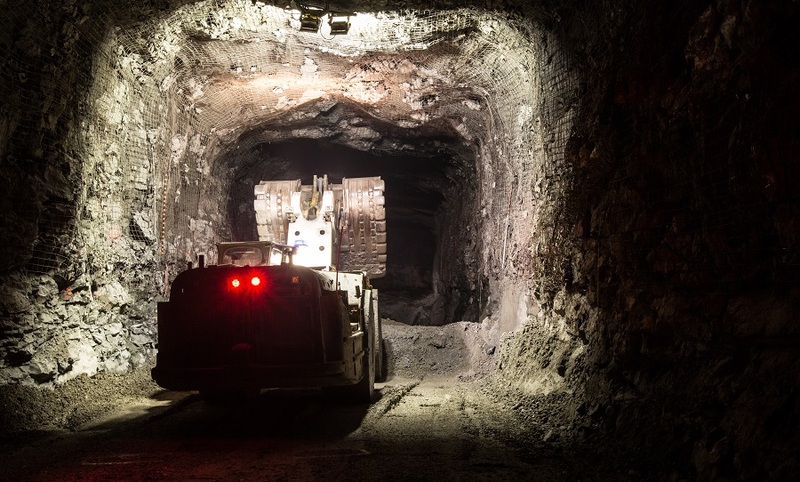 Underground exploration is important because finding new ore generates more wealth for all involved and can extend the mine life ensuring benefits flow beyond original projections.